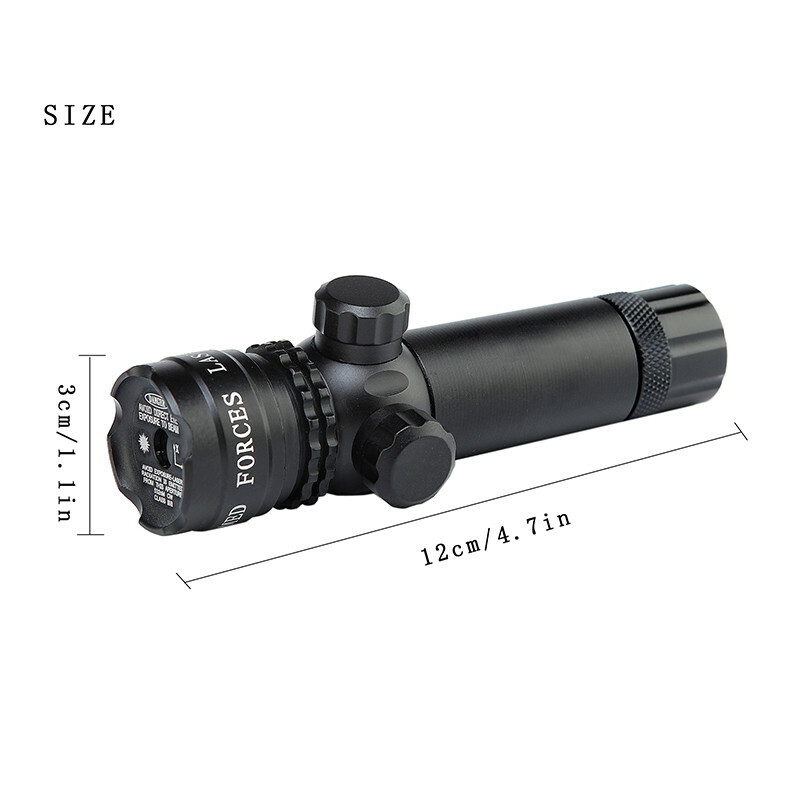 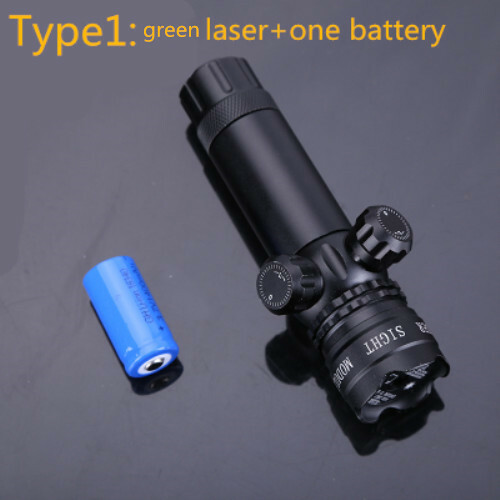 Tips:our laser include one rechargeable battery and charge ,most other seller\'s do not include . 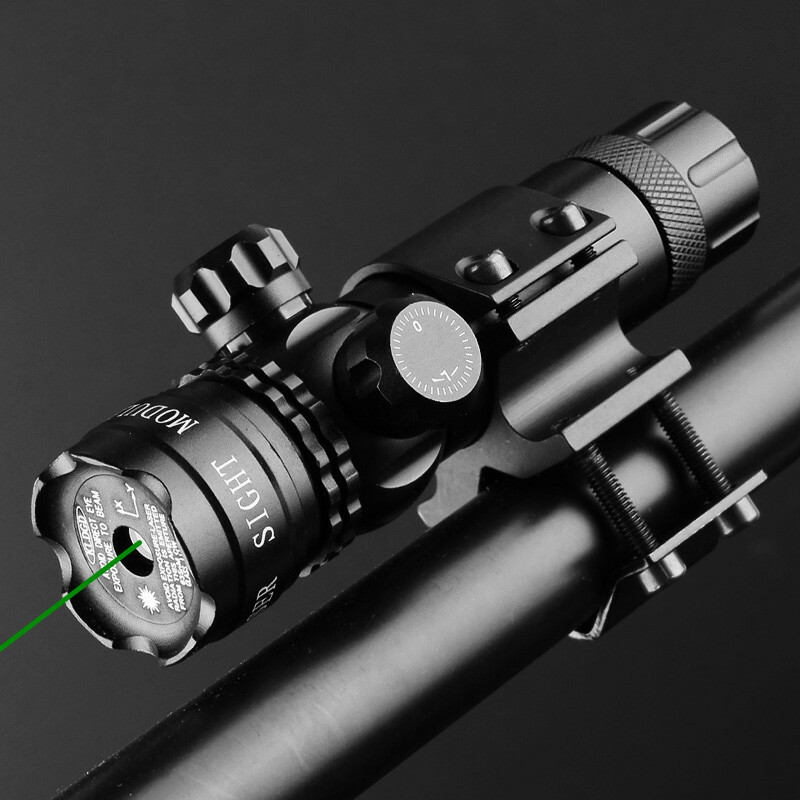 Note: Ban eyes look straight into the light, avoid to cause damage, and even lead to blindness. 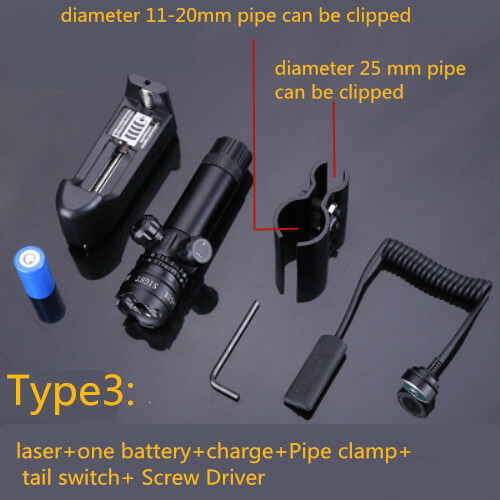 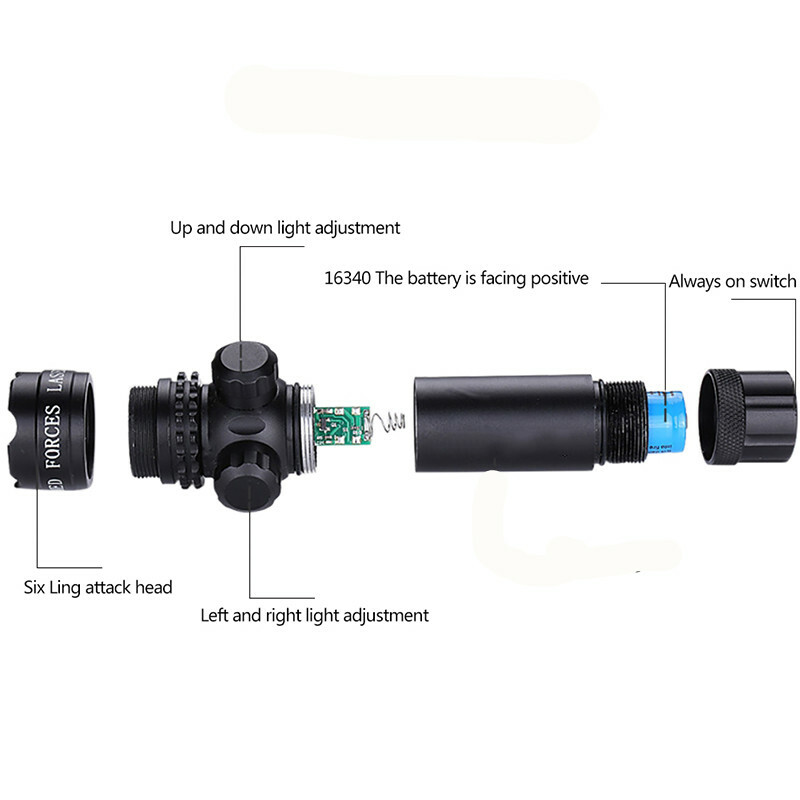 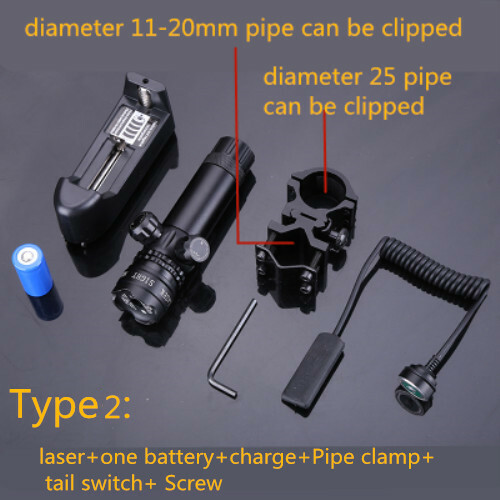 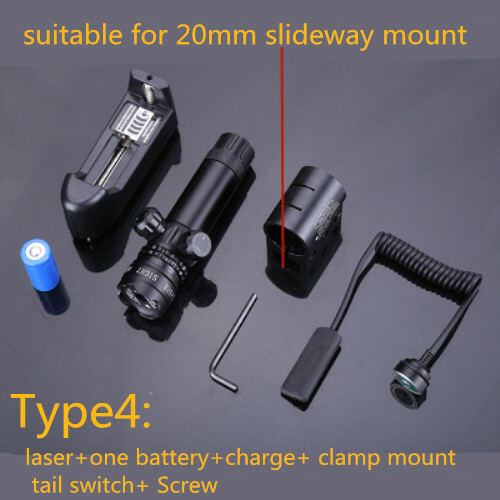 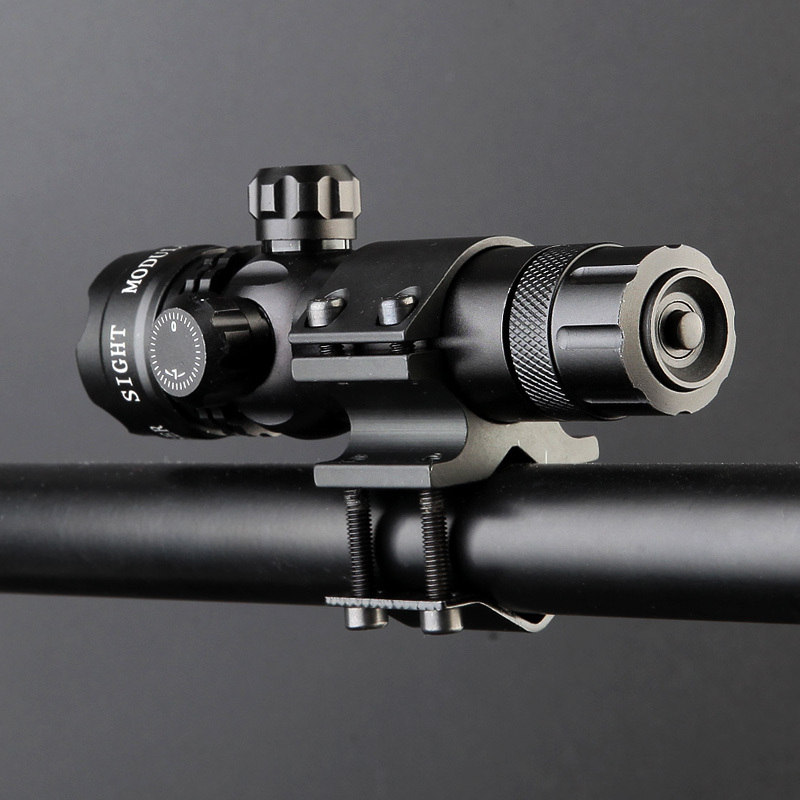 Note:type1 onle include green laser and one battery(Slide Clamp Mount not include),but other type include.